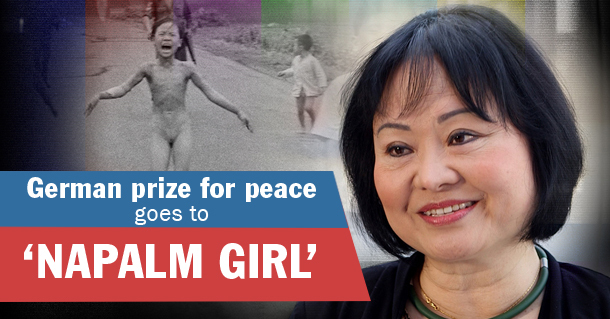 “Napalm girl” Kim Phuc was nine years old when a South Vietnamese plane dropped napalm bombs on her village. The image captured by Associated Press photographer Nick Ut in 1972, was later honored with a Pulitzer Prize. Ut told the AP that Kim lost consciousness shortly after the picture was taken and upon taking the child to the hospital he was told she was injured beyond help. But Kim survived. 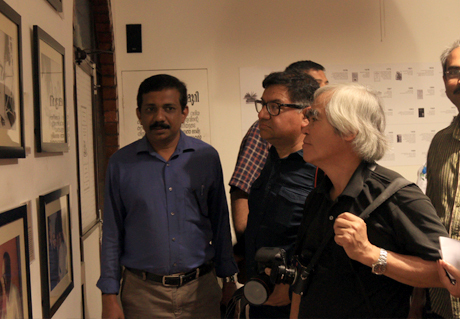 And Nick Ut’s photograph became a symbol of the brutal Vietnamese warfare winning the Pulitzer award in 1973. The Dresden prize organizers say that the 55-year-old, now Canadian citizen is honored for her support and promotion of Unesco and children wounded in war, and for her public speeches against violence and hatred. Founder of the Kim Phuc Foundation, an organization dedicated to supporting the work of international organizations providing free medical assistance to children who are victims of war and terrorism. She is a designated goodwill ambassador for the culture of peace by UNESCO.